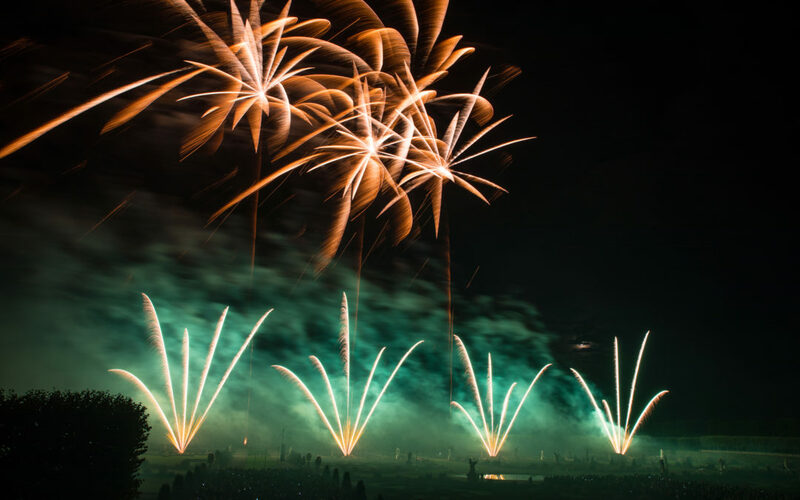 Firework Professionals had the honour of competing at the 28th Hannover International Fireworks Competition in Germany recently. A lot of work goes into creating a pyromusical and there were many challenges putting together the 22 minute show – the biggest coming from working remotely with unfamiliar pyrotechnics, a slightly unfamiliar firing system, and a 10 hour time difference hindering communications a little. The process started with music selection for the freestyle part of the show. All the staff contributed to the soundtrack – which resulted in an eclectic mix of musical styles, including Pacifica, swing, orchestral, tango and even a little bit of Black Sabbath. It’s rare in NZ to have such a 3 dimensional a site for a show and the brief was to highlight the natural aspects of the garden. Lachlan, our choreographer took a different approach to most teams by using a combination of Ultratech close proximity pyro, along with traditional outdoor ground and aerial effects. He spent many hours designing the show, with critical input from the team to refine the design. Two of our technicians Chris and Patrick travelled to Hannover deliver the show, spending 5 very long days getting it all rigged and ready, along with help from local crews from Ernst Rohr GmbH and Innovative Pyrotechnik. Being the last team to participate we were able to watch the show at home in NZ via live stream with the award ceremony following straight afterward. It was a huge thrill to see Firework Professionals awarded with 2nd prize. Competition shows are always a great experience and to come away as runner up was the icing on the pyro cake!